Qantas has switched on in-flight Wi-Fi for customers travelling on board its internet-capable Boeing 737-800, offering fast, free connectivity on Australian domestic flights. Following months of performance testing with global broadband services provider ViaSat and the Sky Muster satellite service, Wi-Fi will now operate in beta mode on a single Boeing 737 aircraft (registration VH-XZB) so customers can test it out for themselves on selected flights while Qantas continues to fine-tune the system. 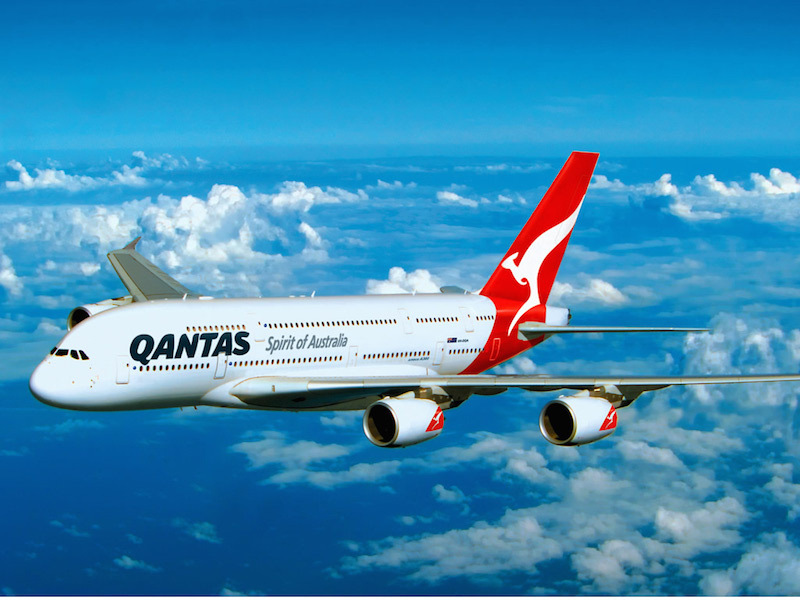 Testing is expected to be complete by mid-year, and from there installation of the technology is expected to begin on Qantas’ domestic fleet of Airbus 330s and Boeing 737s. The roll-out across 80 aircraft will be completed at the end of 2018. The Qantas system offers speeds up to ten times faster than conventional on-board Wi-Fi and gives customers the ability to stream movies, TV shows, music and news programmes – including through content partnerships with Foxtel, Stan, Netflix and Spotify. Customers can also stay connected through email as well as social media, watch the latest YouTube clips or shop online. In the interests of everyone in the cabin, however, voice calls will not be allowed. Qantas Group chief executive Alan Joyce hosted a charter flight over New South Wales, with passengers invited to test the system before it’s switched on for selected commercial flights from today. “Inflight Wi-Fi has been on our wish list for quite a while, but the sheer size of Australia meant it was hard to offer a service that was fast and reliable. “The technology we’re using on-board this 737 is a generation ahead of what most airlines around the world have and there’s a fair amount of complexity involved. “That’s why we’ve installed it on one aircraft for the first few months until we’ve finished fine tuning and are ready to roll out to the rest of the domestic fleet. “On flights between Melbourne, Sydney and Brisbane, where we have a lot of business travellers, we expect the system to get a real work out with email and web browsing. In addition to the benefits for customers, Wi-Fi will also provide Qantas pilots and cabin crew with real time information that will improve efficiency and the passenger experience.